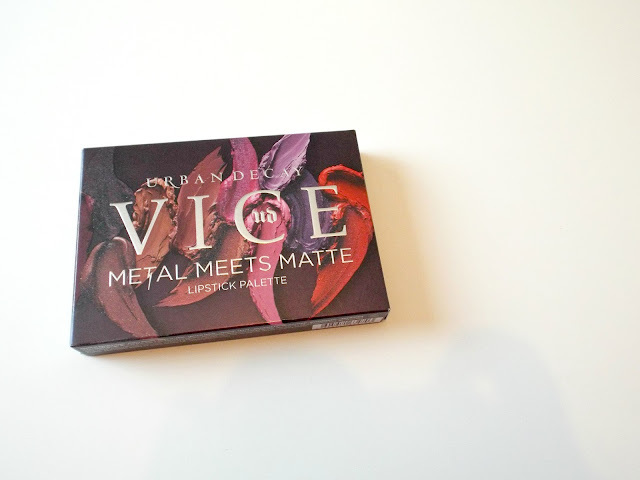 If you haven't heard of the vice lipstick pallet then where have you been? living under a rock? I mean maybe that's a bit harsh, but I am defiantly a big Urban decay fan so I keep up to date on all the new stuff ( or mostly the new stuff ) I heard about a lipstick pallet a year or so ago and couldn't find a thing, then it just so happened that one day while in Debenhams I walked passed and spotted it. Did I buy iit right there and then? NOPE. but I did buy it for my birthday back in October. 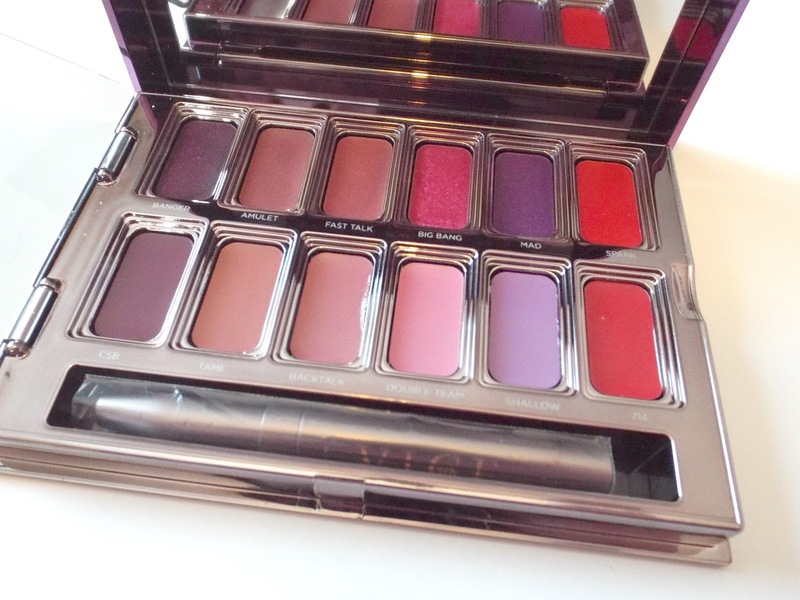 As like the rest of the Urban decay pallets this one also consists of 12 shades and a brush ranging from nudes and darker shades with a normal shade and a shimmer one above. Ok so the last two months of owning this beauty I've used it a few different times for a few different events/days out and I'm pretty much in love, not just with the colours they put in the pallet, but the feel and consistency too. 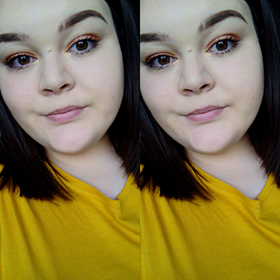 I'm just guessing when I say this but I think these are classed as comfort matte lip colours due to the matte effect but also the lack of dry lips and the soft feel it gives too. 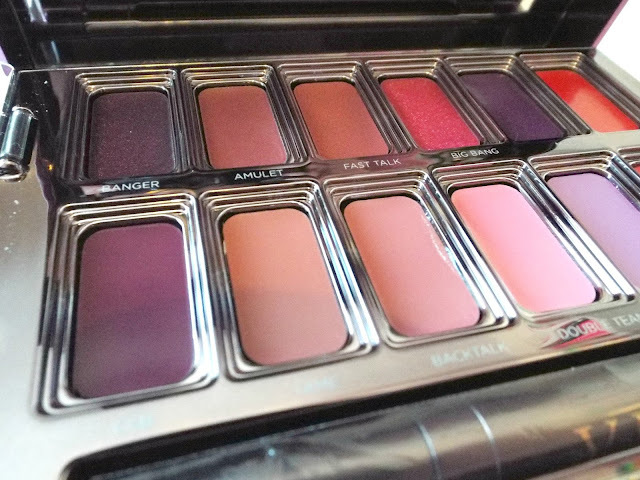 I know for sure that normal matte lipstick does not feel like this, the only issue I will ever find with comfort mattes are do they really last? Now that Is something that will differ for everyone depending on how drying your lips are naturally and the matter of priming and so on. The niceness of blending the colours, is just amazing with the basic shades as well as the shimmer ones, they do not differ in quality or consistency. I really love the two nudes right now both 'tame', and 'backtalk', so much so I brought 'backtalk' in full size so I can wear it to work. YAY!! As far as the brush goes, its something different that I have not used nor tried before, but it looks funky and I love it. 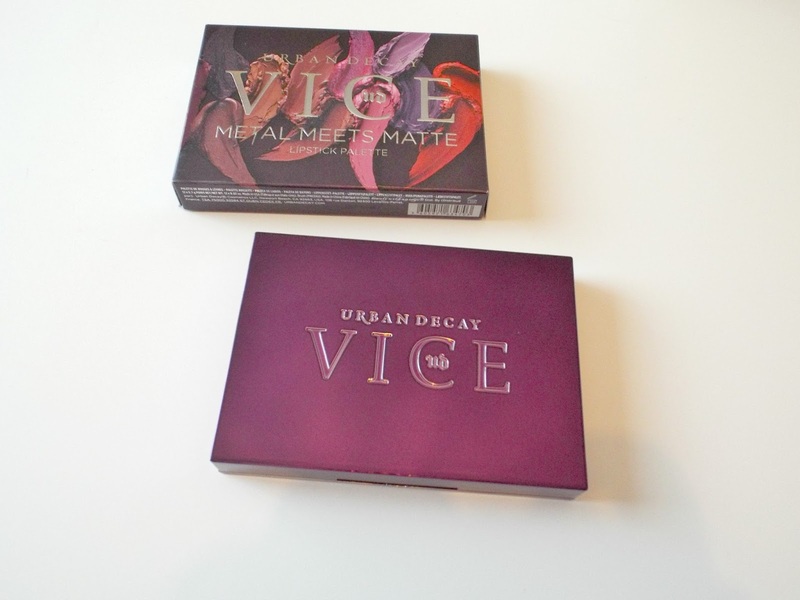 What urban decay lipsticks have you tried out?